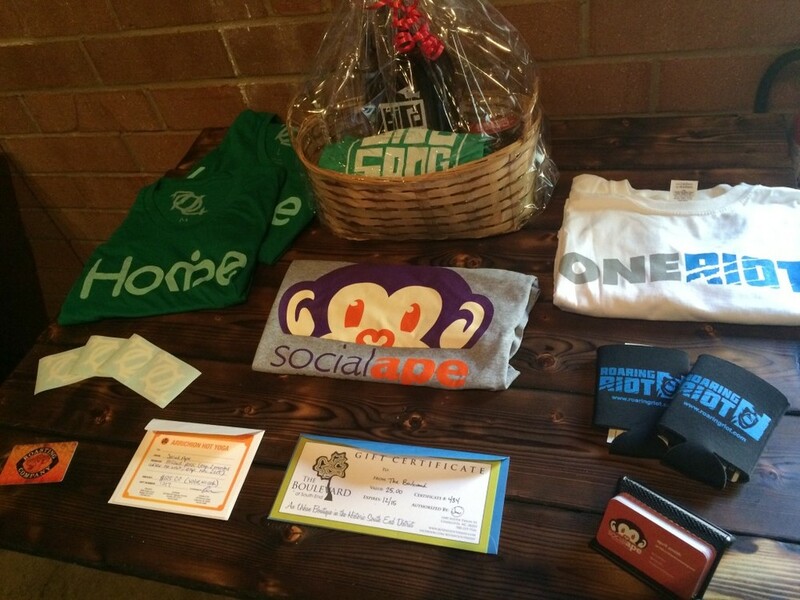 Last week was the 3 year anniversary of Social Ape Marketing so we threw a party at Birdsong Brewing Co.! It was a great night of craft beer, BBQ, giving back & socializing with some of Charlotte's most supportive folks. Thank you to everyone who came out to celebrate with us. We couldn't be more thankful for all of the support. Thanks to Hey Sugar Shop, we had the cutest, most delicious cookies for the event. Queen City Q catered BBQ for everyone. Yes, mac 'n cheese was included. I bet you hate that you missed out. And thanks to some great local businesses, we had a lot of incredible prizes to give away in our raffle. 704 Shop, The BLVD at South End, Roaring Riot, Arrichion Hot Yoga, and Birdsong Brewing Co., all donated amazing prizes! In tradition of giving back, we asked people to bring school supplies to Classroom Central, a local charity that donates supplies to underprivileged children in the community. As you can see, thanks to all the donations, we had a table full of supplies! It's been another great year and we hope to celebrate many more to come! Thanks again for all of your support.